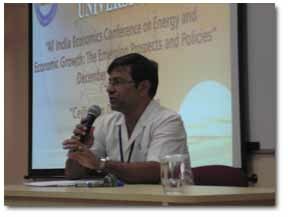 Shyamal participated in a conference on Energy & Economic Growth: The Emerging Prospects & Policies (during Dec.04-06, 2008) at the department of Economics, Sri Sathya Sai University, Prasanthi Nilayam , Anantapur (Andhrapradesh), India. 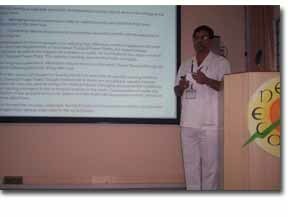 His research paper on Energy Vis-à-vis Environment with special emphasis on Air Pollution Control for sustainable Economic Growth was presented on December 04, 2008. 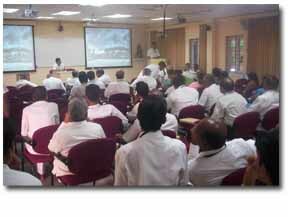 He was selected as chairperson for a technical session on December 05,2008. The participants were from various Universities & Industries of India, USA, Canada, Australia, Singapore, Srilanka as well as an honorable member of the Planning Commission and representatives of other Government of India organisations. 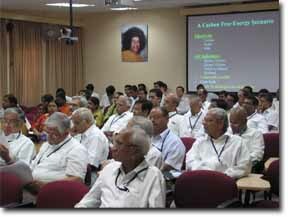 Role of Coal based Thermal Power Plants in Global Warming was at the nucleus of the conference. Energy from various alternative sources was also discussed so as to achieve sustainable economic growth using the natural resources judiciously. Discussions on the ceiling on desires and human values in this regard, were exclusive in nature and very special in kind. This conference was totally different compared to the various national and international conferences where he participated. According to him, his participation in this conference is a treasure to be preserved in his heart. Shyamal thinks that some positive guidance will certainly emerge from this conference held at Prasanthi Nilayam, Heaven on Earth, to solve the alarming issues related to Global Warming.